Ferrari 488 Spider — chic Italian roadster. 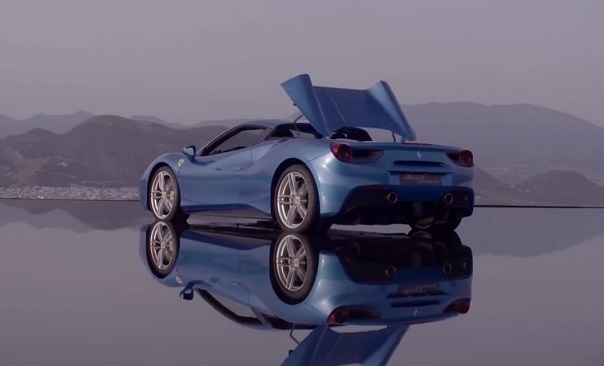 Frankfurt Motor Show was attended by the new supercar Ferrari 488 Spider. Roadster got a retractable rigid roof Hard Top, which is compared to a conventional soft-top has a lower weight. In this case, the gain amounted to as much as 25 kilograms, and a sports car, as you know, any extra weight is strictly contraindicated. When folded roof consisting of two sections is hidden in a compartment located at the same level with the motor. In getting rid of the hard top will require 14 seconds. The new Ferrari 488 Spider is equipped with the same gasoline V-shaped «eight» as the coupe 488 GTB, debuted a few months earlier. Engine volume of 3.9 liters with turbocharging develops power of 670 horsepower and a torque of 760 Nm. Acceleration from zero to hundred kilometers per hour at the supercar takes exactly 3 seconds, the roadster is any fraction of a second is not inferior compartment. 200 kilometers per hour the car picks up in 8.7 seconds. 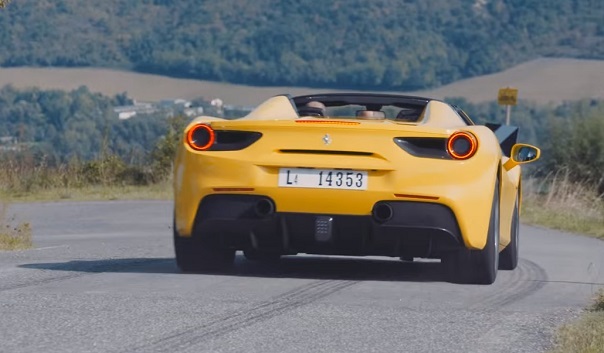 488 Spider Ferrari owners do not have the opportunity to meet with the so-called turbo hole — minders from Maranello perfectly tuned engine and the pressurization system. The sound of the engine work, too, like it, according to the company, it is tempting and contains notes of aggression. The engine compartment is separated from the passenger compartment retractable windscreen glass. Sufficient rigidity of the body is achieved using eleven different aluminum alloys in combination with other noble metals including magnesium. Over the aerodynamics too carefully worked, using familiar elements, along with some special vortex generators. From electronics to help drivers cope with the most powerful roadster, is to provide a control system slip angle SSC2, simplifies cornering at high speed. « Crossover Bentley Bentayga 2016.